Traditional padlocks have one major shortcoming – if you forget your key or combination you’re out of luck. Robbie Cabral’s background in real estate marketing gave him unique insight into this problem, and his invention has been opening doors for him and his wife/co-founder Brach Cabral since its development in 2012. With Benjilock your key is something you always have with you (hopefully), your finger. This 7-pin cylinder padlock has the security of a traditional lock, with heavy-duty design and a stainless steel construction, but you won’t find a dial or keypad here. Instead, a small touchscreen enables you to simply use your fingerprint for a quick unlock, the way you probably unlock your cell phone. It’s designed for use on almost anything, indoor or outdoor, where you would normally use a traditional lock – doors, gates, fences, sheds, bike racks and more. 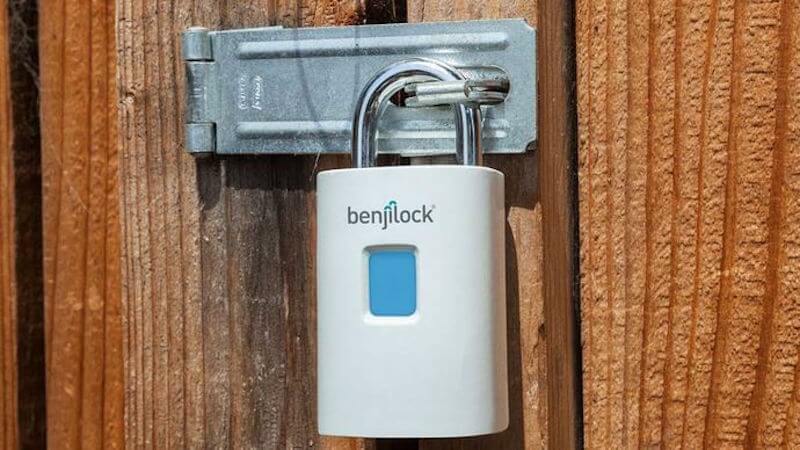 BenjiLock also has a physical key for those times when a family member, colleague or friend needs access. This unique blend of traditional and high-tech locking is a long overdue upgrade to a product that hasn’t changed in decades, with what Cabral has called near-perfect fingerprint accuracy. BenjiLock is rechargeable and can last up to an entire year with a full battery. It can store up to 4 unique fingerprints on it’s encrypted chip, a feature that is practical for both families and businesses. 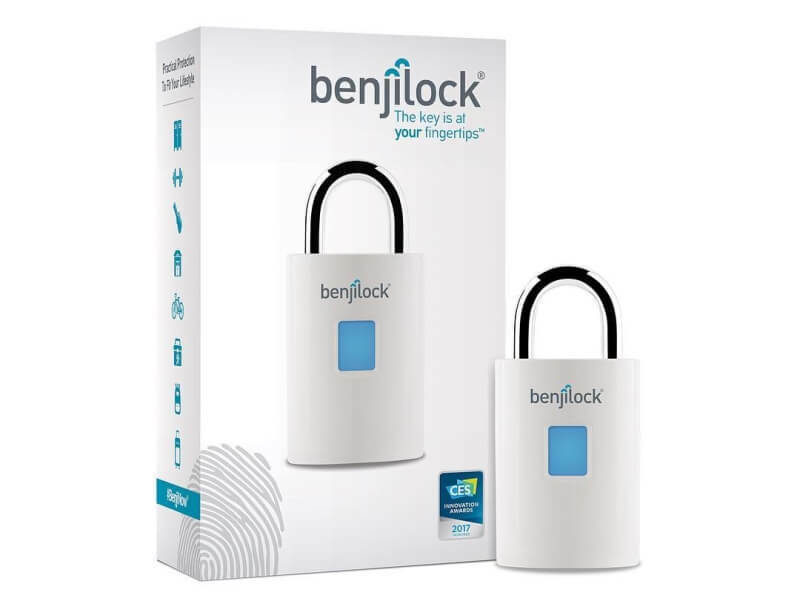 As an extra security measure, Benjilock will delete all your fingerprint info if the device is tampered with, and will require the physical key to be reset. BenjiLock comes in several colors including sky white, jet black, brass, copper and stainless steel. Robbie Cabral and the BenjiLock were already making headlines for their innovation before appearing on Shark Tank. In January 2017, the startup was named as an honoree at CES (Consumer Electronics Show) 2017 where it won the Innovation Award for Smart Home Products. 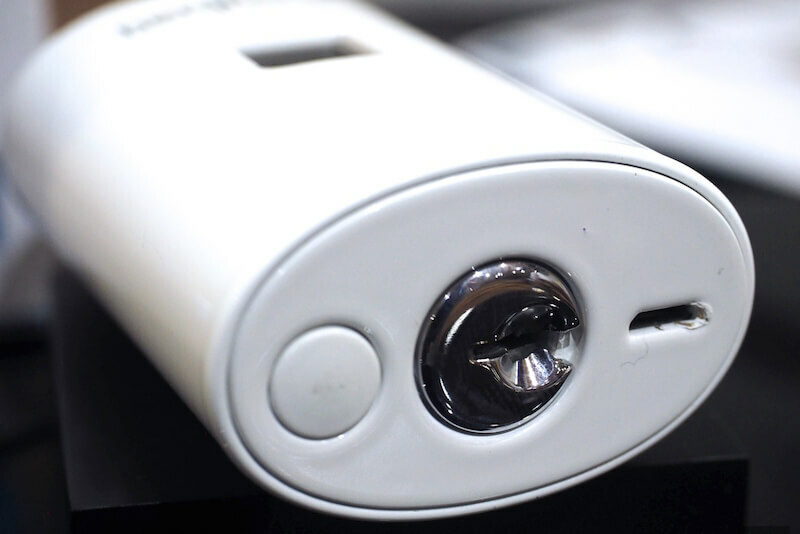 BenjiLock was featured alongside impressive winners including the AKC smart dog collar, Phab Pro 2 augmented reality smartphone, and DIY eye exams. Many tech writers and pros considered this an impressive feat for a smart padlock, and one that is well-deserved for the entrepreneur. BenjiLock has been featured in BizJournals, Globe News Wire, Latin Times, Digital Trends and more since its release. Robbie Cabral is putting his expertise in marketing (with Los Angeles-based brands including Naztech and Dilbeck Real Estate) to work getting his product off the ground. The public seems ready to trust a fingerprint sensor as much as a key, passcode, or combination, and Cabral is ready to capitalize on this new technology. BenjiLock provides all the security of a traditional padlock, with much more flexibility.